The Canadian Prairies are made up of the provinces of Alberta, Saskatchewan, and Manitoba. They consist of open farmland, the Rocky Mountains in Alberta, and countless lakes in Saskatchewan and Manitoba (bordering Hudson Bay). The area offers all kinds of outdoor activities, making it a must-see for campers, fishers, hikers, swimmers, boaters, skiers, and snowshoers. If you’re not a nature lover, fear not: there’s plenty to do in the area’s capital cities, such as Edmonton, Regina, and Winnipeg. 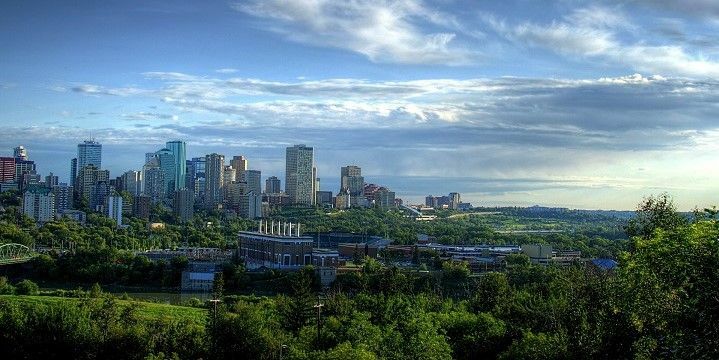 Edmonton is Alberta's capital city. The Saskatchewan province is also home to the cities of Saskatoon, which hosts more than 60 annual festivals, and Gravelbourg, famous for its French architecture. 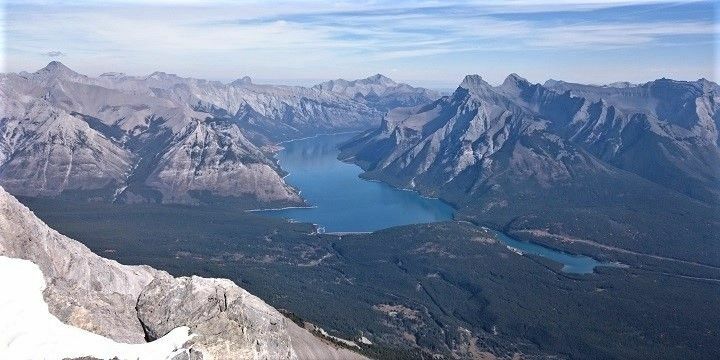 Banff and Calgary (Alberta) aren’t just ideal starting to points from which to explore Banff National Park, the latter is also home to one of Canada’s biggest parties, the Calgary Stampede, which takes place every July. 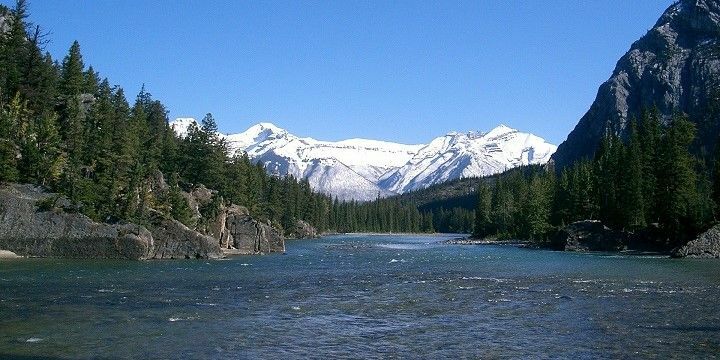 Banff National Park is located in the Canadian Rockies. Banff National Park (Alberta), located in the Canadian Rockies, is home to many hot springs, hiking trails, and lakes. Be sure to visit the turquoise Lake Louise, and head up the mountain in an open air ski lift. If you’re lucky, you might also see some grizzly bears! Other lakes in the area include Lake Minnewanka, and the glacial Moraine Lake in the Valley of the Ten Peaks, which is more remote. The view from the Cascade Range onto Lake Minnewanka is amazing. Just north of the park, you’ll find the Columbia Icefield, one of the world’s most accessible glaciers. Parts of it lie in Jasper National Park, with deep canyons, waterfalls, and stunning lakes, including Medicine Lake. This lake constantly loses water through its underground river system, and is refilled with beautiful turquoise water by the surrounding glaciers. Maligne Canyon, which reaches heights of 50 meters, is particularly impressive in winter, when its waterfalls freeze, forming their own icy artwork. Saskatchewan and Manitoba are home to hundreds of thousands of lakes! Many of the beaches in Saskatchewan, such as Candle Lake, Good Spirit Lake, and Deschambault Lake, are purple, thanks to the garnet particles carried by glaciers. The province’s largest lake is Lake Athabasca in the North, where you’ll also find incredible sand dunes, which reach heights of up to 30 meters. They’re located in the extremely remote Athabasca Sand Dunes Provincial Park, which is only reachable by seaplane! Little Limestone Lake in Manitoba wows visitors as it changes color in the sun, from bright turquoise to deep blue. Head about 500 kilometers south to Riding Mountain National Park, where you’ll find dense woods, beautiful lakes, and unique wildlife, such as black bears, bison, lynx, moose, and elk. The Canadian Prairies’ dark sky preserves, such as Cypress Hills Interprovincial Park (Saskatchewan), are also well worth a visit. These preserves have minimal light pollution, making them the perfect spots from which to view the Milky Way. The Wood Buffalo National Park in Alberta is the world’s largest dark sky preserve, and is home to many owls, bats, and nighthawks. Try to visit in late August and September, when you can also see the Northern Lights from the park! 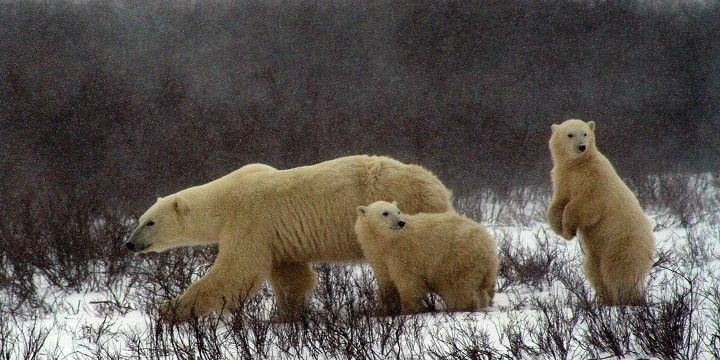 You can often spot polar bears in Churchill, Manitoba. These are also visible from the small town of Churchill in the North of Manitoba, which is a great Beluga whale spotting location in July and August. In fall, meanwhile, the town is inhabited by more polar bears than people, making it the polar bear capital of the world!